Today’s information-based culture has introduced security challenges such as cyber attacks, privacy issues, and malware. 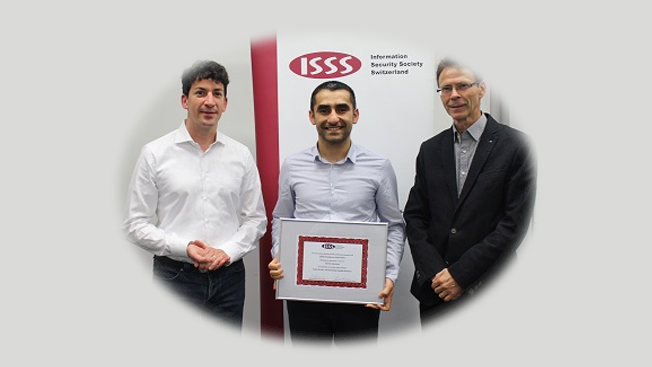 Considering the many ongoing studies in this field, the Information Security Society Switzerland (ISSS) awards the ISSS Excellence Award each year to recognize and motivate students. The most recent winner of this prestigious award is Hamza Harkous, a post-doctoral researcher at EPFL. The ISSS jury, comprising eminent experts in ICT and Internet security, bestowed the honor on Hamza Harkous in recognition of the novelty, quality, and practical significance of his Ph.D. thesis. The researcher pursued his Ph.D. between 2012 and 2017 at EPFL’s Distributed Information Systems Laboratory. His thesis “Data-Driven, Personalized, Usable Privacy” presents an innovative approach towards improved handling of privacy risks and proposes data-driven methods that enable the end user to protect private data and build strong privacy policies. In his budding academic career, Hamza Harkous has already made rapid advances in the arena of AI-driven systems with a focus on privacy and security domains. The ISSS award adds to the series of grants and awards won by him in the past. These include the Outstanding Paper Award at ACM CODASPY 2017 and the Best Presentation Award at SwissText 2017. He continues to diversify into research areas ranging from deep learning to data-driven privacy interfaces, and from human-computer interactions to full-stack development. Going forward, he expects to develop many more online usable services, similar to the deep-learning chatbot ‘PriBot’ that answers questions about privacy policies and the AI research project Modemos that enhances child safety.